Kisko Coffee Break is a periodical list of things we think you should look at. Amazing use of scroll effects to power a gorgeous (and sad) comic. 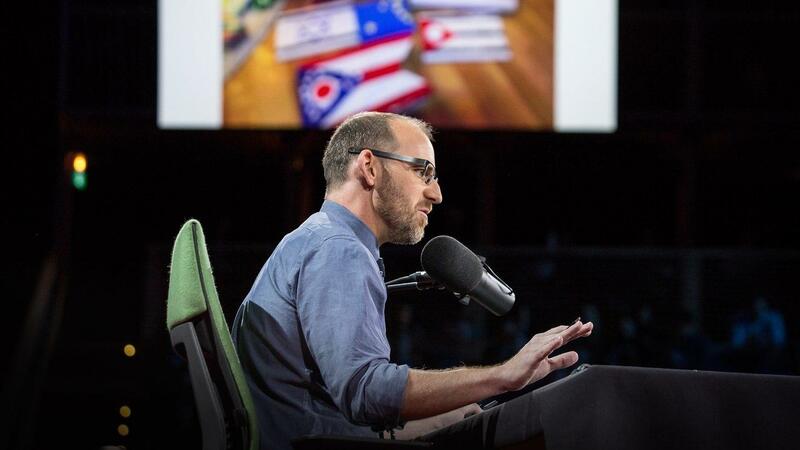 "Roman Mars is obsessed with flags — and after you watch this talk, you might be, too. These ubiquitous symbols of civic pride are often designed, well, pretty terribly. But they don't have to be. In this surprising and hilarious talk about vexillology — the study of flags — Mars reveals the five basic principles of flag design and shows why he believes they can be applied to just about anything." "An In-Depth Look at the Smaller Bits of Game Design"
"Is it a design thing? Do we file it as a code bug? It’s probably that twilight zone. It doesn’t matter. Some things just take time to get right. But in a way this demonstrates one thing very well: good code is interface design." On how to really center irregular shapes inside a circle. Hottest virtual reality company Magic Leap's fireside chat at EmTech Digital 2015. Rpush. The push notification service for Ruby. Rpush aims to be the de facto gem for sending push notifications in Ruby. Its core goals are ease of use, reliability and a rich feature set.